It was a cold but beautiful day exploring Park Presidio and the Palace of Fine Arts with these beautiful people. They wanted to do a throwback shoot inspired by the 40's. With cigars in hand, and a gorgeous maroon dress to boot, it was a fun shoot and we all had a lot of fun. Definitely outside of my comfort zone doing something so moody and dark but I am pretty proud of how these turned out. 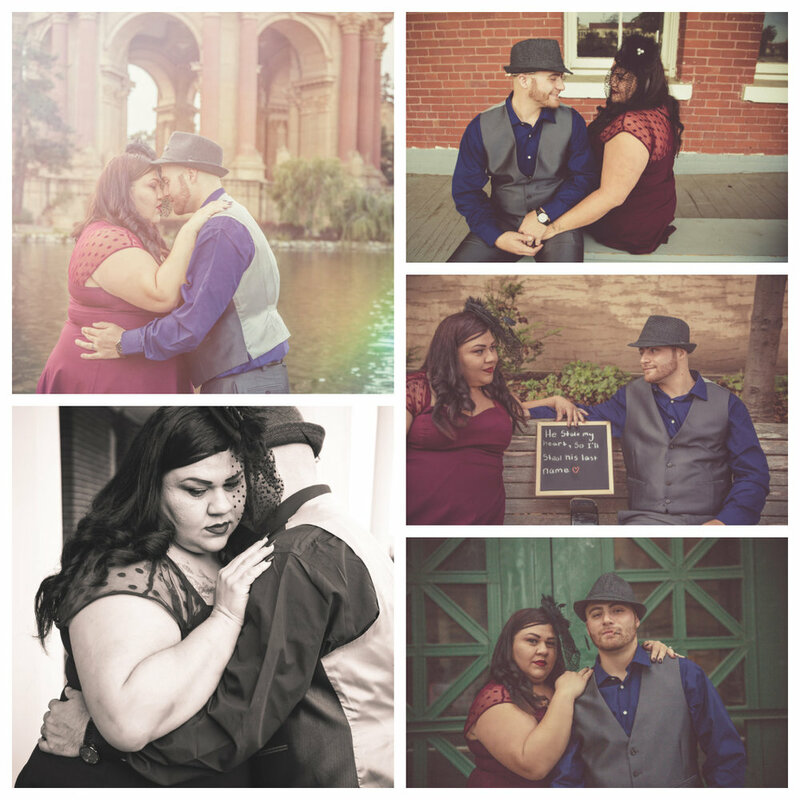 Here's a few pictures from the shoot -- can't wait to shoot their wedding in May!